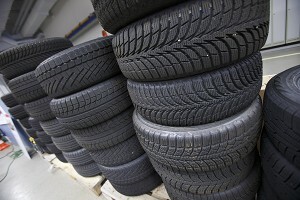 To examine possible safety risks from the use of winter tyres during summer time tests of road grip have been conducted for a group of non-studded winter tyres and a group of summer tyres. One non-studded winter tyre of Nordic type, and one summer tyre was chosen from five different tyre manufacturers. The tyres were all new, but worn in for the tests. The braking distance on dry asphalt was about 15 per cent longer for winter tyres compared to summer tyres, regardless of the speed before braking. On wet asphalt the braking distance was 20 per cent longer for winter tyres compared to summer tyres, regardless of the speed before braking. For double lane change tests on wet asphalt, the maximum speed was about 83 km/h for summer tyres and 72 km/h for winter tyres, an improvement in performance by 15 per cent. In handling tests on a curvy wet asphalt track the lap time was compared between the summer and winter tyre for each respective manufacturer. Summer tyres were in general 10–17 per cent faster compared to winter tyres. Tests of Volvo’s active safety system, City Safety, which is supposed to prevent a collision at speeds up to 30 km/h, showed that this worked to 100 per cent even with winter tyres on wet asphalt. Analyses were also conduced to estimate the significance of braking performance on the risk of injury for three different types of traffic accidents. A number of hypothetical braking situations, with and without auto brake, were considered. Types of accidents were: rear end collision, frontal collision and collisions with pedestrians. The study showed an increased risk of injury from the use of the Nordic non-studded winter tyres instead of summer tyres for all three types of accidents. At low collision velocities, the absolute risk increase was small perhaps only a few percent, while the relative increase may be large, sometimes up to a doubling of the risk. At higher collision speeds, the difference in absolute risk is greater. However, due to lack of statistics on the number of collisions at different collision speeds, and how common the hypothetical cases are, makes it impossible to predict the overall effect on road safety from using winter tyres instead of summer tyres during summer time. Finally an in-depth-analysis of fatal accidents was carried out. Accidents for two years, 2008-2009, were investigated. In summary, we note that the difference in road grip is significant between the tested summer and winter tyres, both the braking and steering performance. It is difficult to estimate the significance this difference has on traffic safety. However, theoretical risk analyses indicated increased risks when using non-studded winter tyres for a few different types of accidents in which the braking performance is important. Studies of fatal accidents also indicates that non-studded winter tyres are over-represented in accident statistics and that the accident reducing effect of using summer instead of winter tyres is 3 per cent (not statistically significant). The advice to the consumer must therefore be to always use summer tyres during summer time. VTI report R849: Comparison of winter and summer tyres on bare roads summer time. Test, risk analysis and in-depth studies. 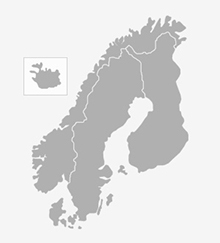 Authors: Mattias Hjort, Fredrik Bruzelius, Håkan Andersson, Maria Krafft, Anders Ydenius, Matteo Rizzi. This entry was posted in Safety, Vehicles and tagged braking, braking distance, braking performance, non-studded tyres, road grip, steering performance, summer tyres, VTI, winter tyres. Bookmark the permalink.